Helps repair scarring and to reduce its pigmentation! Suitable for post-scar dermatological care. Helps to heal scars and reduce their pigmentation! Combines action of rosehip oil and vitamin E (tissue repair) with centella asiatica triterpenes and glycerin (improve skin elasticity) and dexpanthenol (mitigate pigmentation and itchiness and strengthens skin barrier). Apply 3 times a day on clean, dry skin, gently massaging until completely absorbed. Dermatologic corrective care of scars (surgical,...). Enriched with rosehip oil, niacinamide and dexpanthenol, that promote skin elasticity, reduce itch and normalize skin pigmentation. 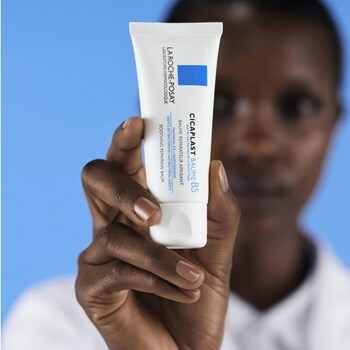 Cicaplast Baume B5: For adult or kids skin, which is damaged.